Quilters, crafters, and embroiderers of all skill levels will be thrilled with these whimsical patterns from Australian designer Gail Pan. 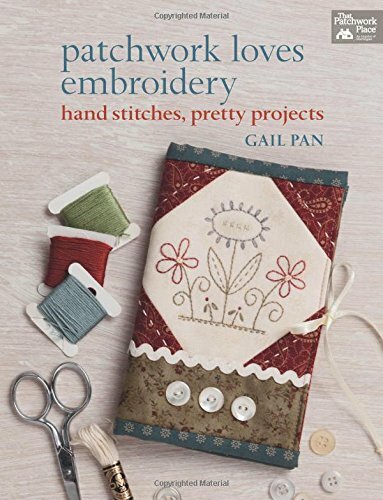 Featuring full-sized hand-embroidery designs, Patchwork Loves Embroidery is for anyone who wants to enjoy the relaxing hobby of putting needle to thread. If you have any questions about this product by That Patchwork Place, contact us by completing and submitting the form below. If you are looking for a specif part number, please include it with your message.